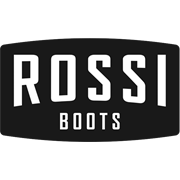 The Rossi Project is an Australian made, wide fitting, elastic sided work boot with a dual density TPU/ PU cushioned sole and comfortable footbed. 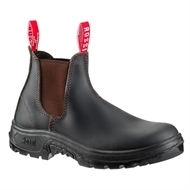 This boot is an all rounder with a throat piece for snug ankle fit. The Enigma TPU/PU sole is slip, oil and acid resistant plus heat resistant to 140 degrees. Rossi use the highest quality leather, it's supple, robust and ages well.